A quiet neighborhood in Boise, Idaho had their peace temporarily disrupted by uninvited guests and made them unexpectedly viral in the process. 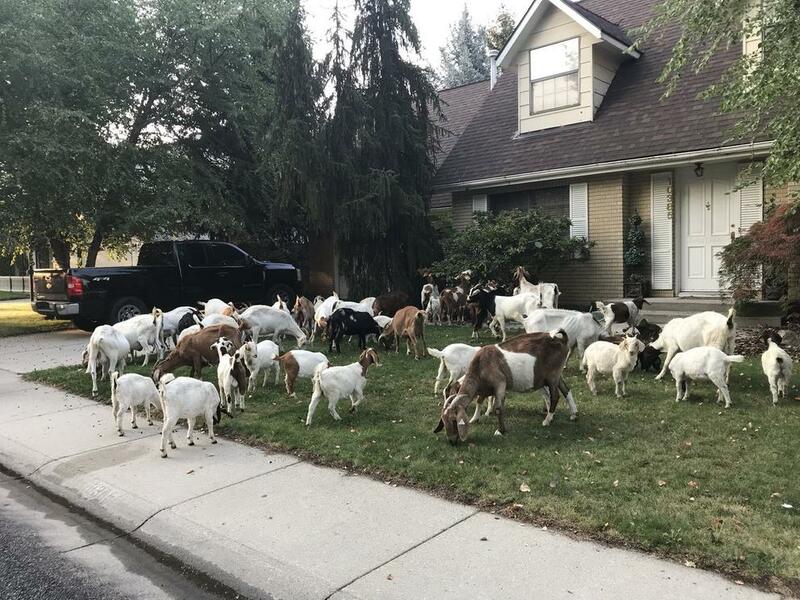 The strange spectacle of 118 goats suddenly descending on their neighborhood surprised residents of Sunnybrook and Summerwind Drives, near the intersection of Five and Ustick Roads. Many of the residents were just waking or up or only starting their day at 7 a.m. when the batches of goats arrived on Friday. The visiting goats seem bent on having the time of their lives as they loiter around eating lilies , munching on trees, bushes, flowers, and everything in between. The residents, surprised as they were with the intruders, happily and pleasantly let them be for a few hours. It turned out that the goats on the loose are part of a rental service that pitches itself as a natural way to take care of noxious weeds. The animals were supposed to be working in a nearby field, when they broke through the fence and decided to roam a bit. As good things eventually come to an end, the roaming goats were later picked by their owners- but not after they had their fun. The uninvited visitors- though not necessarily unwanted, too- thankfully did not cause any irreparable damage to any property in the neighborhood. No people nor goats were also harmed in the process. Social media users also expressed their amusement with the adventurous goats. whoa! How could so many goats get away all at the same time? haha the staff attending to them must have been fired! But cheers to the spirited goats!